Did you get the user’s guide on your first day on the job as an assistant professor? Having trouble remembering? Let me help…you receive this manual when you become a new faculty member. This important guide has all the information one needs to be an effective educator. Learning theory, curriculum design, writing instructional learning objectives and exam questions, cognitive science research, and effective teaching styles and strategies are among the many significant and fundamental topics. Maybe you received your copy the following week. If your career began as mine did your copy of the user’s guide never arrived (maybe it was lost in inter-office mail?). I was hired as an assistant professor at a medical school for numerous reasons. My PhD in pharmacology was a contributing factor, as was the fact that I had experience giving presentations on my research and speaking in front of an audience (pay no attention to the fact that my research had no place in pre-clinical healthcare education). Like many new assistant professors hired with a focus on teaching, I started preparing lectures to deliver to medical students eager to soak up all of the information I had to tell them. Fortunately, I began my career as an educator at a medical school that stressed active learning and application in the curriculum, so I was able to adopt some teaching strategies that were effective, challenging, and enjoyable. I also benefited from having fantastic mentors early and throughout my career. Many new faculty members, however, do not receive any formal training in teaching when they begin their career in medical or healthcare education. It was not until I attended the 2015 HMI Program for Educators in Health Professions that I gained a deep appreciation of the science of learning and educational design. For me, the course was transformative. Everything included in the course had a purpose and the course design was clearly intentional and based upon the learning principles discussed. I knew that if I adopted what I learned into my instruction of pharmacology, our learners would benefit. I also knew there were opportunities to share what I learned with my fellow educators. Many Colleges of Osteopathic Medicine offer undergraduate teaching fellowships in clinical anatomy and/or Osteopathic Principles and Practices (OPP) where students spend an additional year in the classroom and labs teaching their fellow students. One of the main duties of both the clinical anatomy and OPP fellows at Kansas City University College of Osteopathic Medicine (KCU-COM) is to teach. Like many new educators at medical schools, they never receive any formalized instruction to effectively teach their learners. Using information I learned and skills I developed at HMI, I created a curriculum on teaching and learning specifically designed for the KCU-COM anatomy fellows. The core elements were student activity and engagement with a purposeful shift from a teaching-centric approach to a learning-centric approach. I developed two semester-long courses. The first semester focused on learning theories and best teaching practices. The second semester focused on implementation of the educational theories and principles discussed in the first semester. Kolb’s experiential learning theory served as a guide for each encounter in the first semester. My goal was to make every session active. For example, each fellow completed the Kolb learning styles inventory prior to our first meeting (sound familiar?). For our second session, the fellows used the experiential learning cycle to teach basic learning theories (behavioral, social cognitive, constructivist) by answering the questions in each quadrant. Why? What? How? If? We discussed how to write appropriate instructional objectives and multiple-choice assessment items (with follow-up and practice), metacognition and cognitive science, teaching perspectives inventory, Kern’s six steps of curriculum development, skills teaching, and microteaching. We even took a trip to the local art museum to encourage observation and interpretation skills development and to promote individual reflection. Weekly journal club discussions covering topics from the education literature helped to support the material and provided opportunities for exploration and self-reflection. For the second semester, the fellows were required to teach at the medical or graduate school level using the tools they learned the previous semester. More importantly, they had to demonstrate that the learning principles they believe in, rather than the content they were teaching, were drivers of the learning encounter. Each fellow was required to develop appropriate learning objectives and write board-style assessment items. After each teaching encounter, we followed the microteaching flow chart and held a peer consultation conference to discuss strengths and opportunities for improvement. In addition to teaching, fellows were required to design an example curriculum for one anatomical region at the graduate program level (e.g., anatomy of the MSK system) using Kern’s six steps. The course received many positive accolades from both the anatomy fellows and teaching faculty. More importantly, however, the fellows rose to the challenge and delivered outstanding presentations to the year 1 and 2 medical students. Reflecting back to when I first began my career as a medical educator, they are years ahead of where I was. Structuring, organizing, and delivering the course was both challenging and incredibly rewarding for me as an educator. Without the education and inspiration from Harvard Macy, this important step to educate future healthcare educators would not have been possible at my institution. I would appreciate some ideas for additional topics to include in the course moving forward. If you were to pick one topic on learning and teaching to discuss with future educators, which would you choose? Thank you! Schoen W. Kruse, Ph.D., has been a medical educator for almost 10 years. He joined Kansas City University in June of 2014 as Assistant Dean and Associate Professor of Pharmacology. Dr. Kruse has a history of working with both learners and educators to improve medical curriculum and student outcomes. 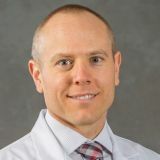 He has helped transition the curriculum at two osteopathic medical schools to emphasize application, adult-learning theory, and life-long learning. Dr. Kruse teaches pharmacology and recently created a new course that teaches future physicians how to teach based on learning theory and learning principles. He was recently inducted as a fellow in the National Academy of Osteopathic Medical Educators (NAOME). Dr. Kruse completed the Harvard Macy Institute Program for Educators in Health Professions in 2015.